What's one thing that can help your family bond, transport you to another world, or simply relax you after a long day? Movie night. And what better way to do movie night than with your smart TV, integrated smart home system, and surround sound system! With all the blockbusters being released on DVD, the classics you've got stored away, and the blissful evolution of Netflix, you've got plenty to enjoy and set your mind at ease. But it's time to take it to the next level. We want to show you how to enjoy a simple movie night in style. Your smart home needs an entertainment system that goes above and beyond. This means offering luxury and control that regular TVs and systems don't. Digital graphics engines, or DGEs, are boxes that integrate with your smart TV to enable it to display the control of your home. The benefit of this is you don't have to fumble from one remote to the next to control any aspect of your home, nor do you have to get up to go do whatever it is you're needing to do. Simply control it using your smart remote that you use for your TV. You can answer the phone, check security cameras, edit lighting or shading, and essentially anything else your smart home can do all from one screen. Getting these is as easy as easy as contacting us here at KP Evolutions. 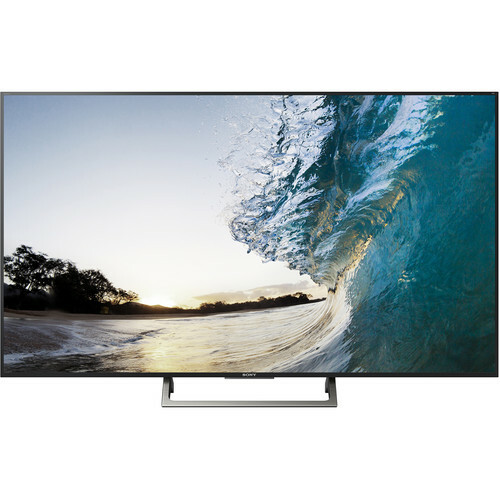 Smart TVs really don't get much better than Sony. 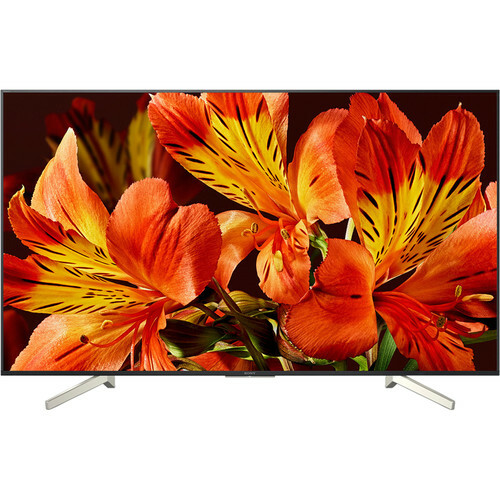 Realistically, they offer some of the best tech on the market at some of the best prices. They offer an otherworldly viewing experience, sleek design, and luxury at every turn. Here's some of our favorites to elevate the viewing experiences in our customers smart homes. These are key to controlling your DGEs and smart TV. We highly recommend getting the touch screen version (TSR-310) simply because it not only brings control of your home in the palm of your hand, but it makes it so easy to use. These can be programmed to function with almost any smart TV on the market, so you don't have to worry with whether or not it's compatible. Sonos produces some of the best speakers the world has ever seen, and the fact that they connect perfectly with most smart home systems is just the icing on the cake. 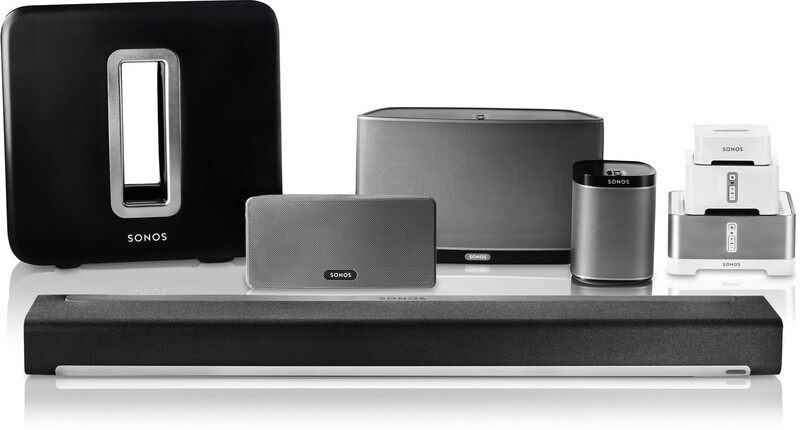 With Sonos, you can surround yourself with great music all the time in any room in the house. Control Sonos from Crestron touchscreens, remotes, keypads, and more. From your touchscreen, you have the control to trigger Sonos favorites, play/pause, skip songs, view “Now Playing” information with artwork, and easily stop all Sonos zones with the touch of a button when you leave. To do even more, launch the Sonos app directly on your Crestron touchscreen. Sonos connects to your smart home system through bluetooth. This way, your smart home control system can link up and operate all of the speakers in your home seamlessly. You can turn on specific rooms, program certain playlists to play automatically when triggered, and even silence some or all of your speakers when you need. It conforms to your desires and it couldn't be easier to use. Just access it with your remote, smart phone, tablet, or wall switches. The next step in TV viewing experience is here. Luxury viewing is simple and easy to get as well. Let us know how we can put this tech in your home.